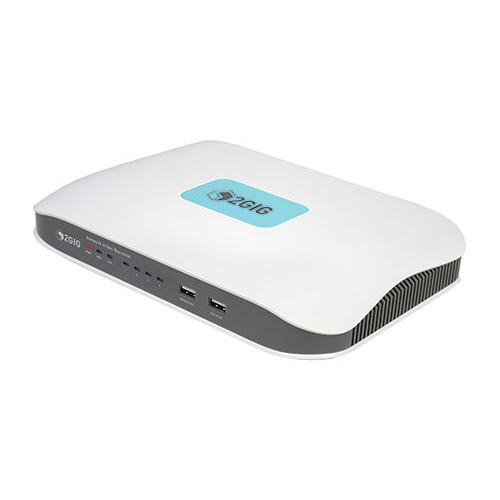 2GIG Technologies is pleased to announce the new Go!Control Desktop Kits. This inexpensive and easy-to-install Desktop Kit offers new versatility to customers. The Desktop Kit can be utilized at two different viewing angles allowing customers to place their security panels and keypads on a desk, kitchen counter, night stand, or any other flat surface. Allows GO!Control Panel to sit at 2 different viewing angles>All 2Gig product requires a 2Gig GO!Control panel and a subscription to alarm.com for full functionality>2Gig products are intended for professional installation only This item cannot ship to APO/FPO addresses. Please accept our apologies. 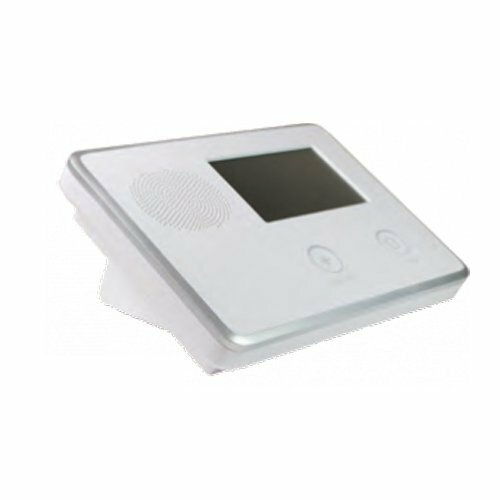 These transmitters connect to sensing devices such as smoke alarms, motion and CO detectors, window/gate/door contacts, door bells, water level indicators or pressure pads. 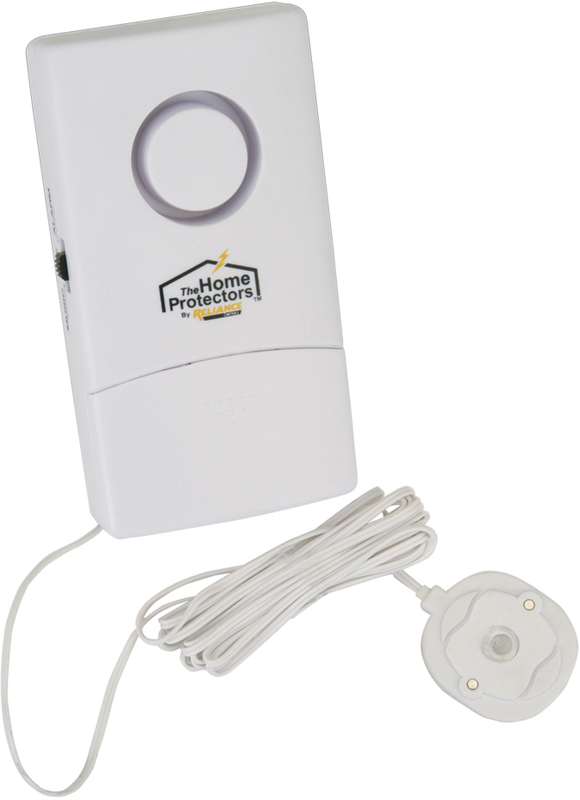 When the sensing device is triggered, the transmitter signals the Voice Alert System. The TXPCBB-V also has a vibration sensor that will trigger if the transmitter is bumped or moved. 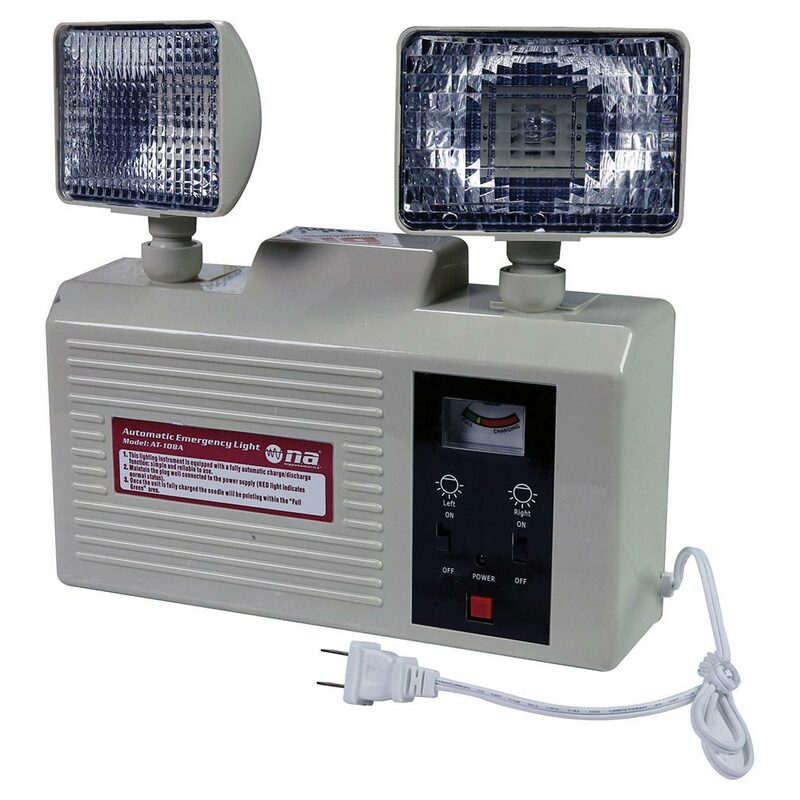 Can be used in conjunction with VA-6000T transmitters. 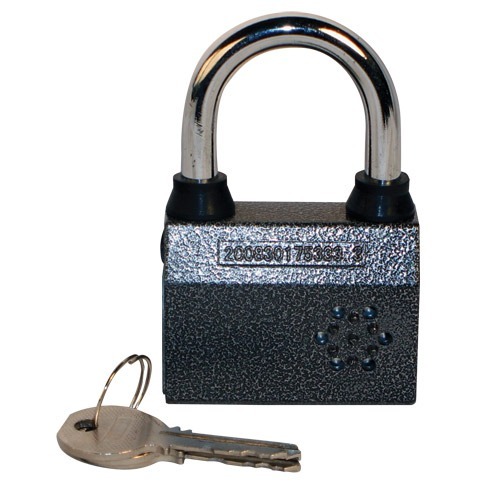 The Alarmed Padlock works as a Motion Sensor when it's locked the 100db alarm will sound when the lock is tampered. 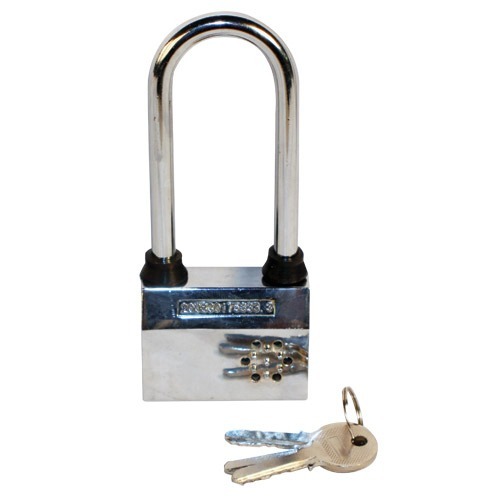 The alarm will go off giving excellent security to your bikes, fence, gates or any application it is used on. 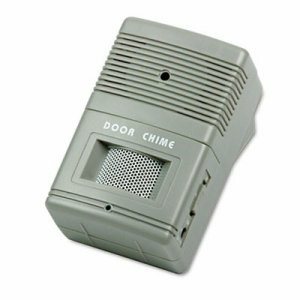 Dimensions: 5 ¼" x 2 3/16" x 1"
Dimensions: 3 ¼" x 2 3/16" x 1"
Pleasant �ding-dong� sound alerts employees when visitors enter or exit. High/low/off adjustable volume control. 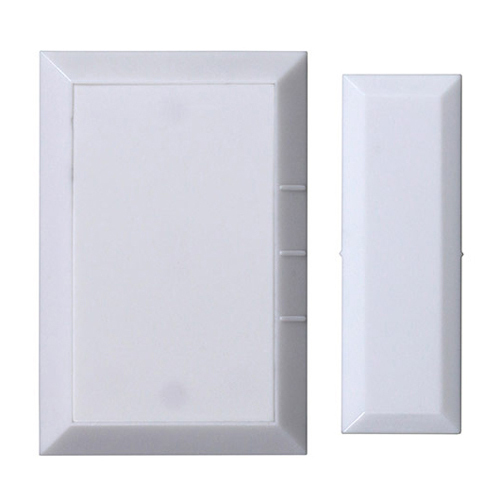 Light-reactive sensor has sensing distance up to 15 ft. Wall mountable with angle-adjustable mounting bracket (included). Can be used with door open or closed. 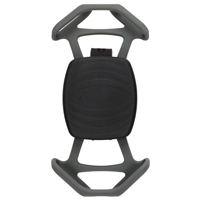 Color(s): Gray; Width: 2 3/4"; Depth: 2"; Height: 4 1/4". Wi-Fi Smart Home Kit includes the Wi-Fi Smart Bulb Wi-Fi Smart Camera and Wi-Fi Smart Plug. Access and control your smart devices from anywhere via the Smart Life companion app right on your phone. 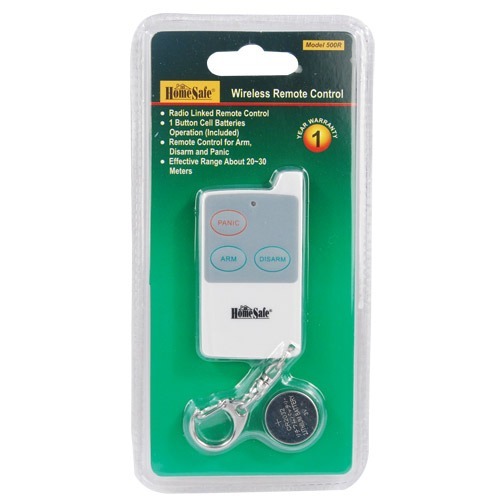 Fully control your house how and when you want. The Smart Bulb and Smart Plug offer voice-control functionality for added customer convenience. This item cannot be shipped to APO/FPO addresses. Please accept our apologies. 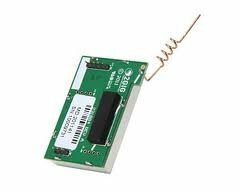 319-345MHz Dual Receiver for GoControl. Enables 319MHz GE Protocaol Wireless Sensor To Communicate to the GoControl Panel. InterLogix-compatible 319MHz wireless protocol>Integrated into panel, no external power supply or translator hardware>Easy to install into any Go!Control panel>Accepts up to 48 wireless devices using 2GIG, Honeywell, or InterLogix protocols>External antenna provides reliable range performance This item cannot ship to APO/FPO addresses. Please accept our apologies. The Go!Control Security System represents a signifi cant advancement in fully supervised wireless security systems. The security system Control Panel incorporates many advanced and sophisticated features. The system can be expanded and customized to fi t the installation’s specifi c needs. Designed to meet or exceed the requirements for ETL Listed residential security installations, the system also conforms to the Security Industry Association’s Control Panel Standard ANSI/SIA CP-01-2007. Enable Bi-Directional Communication for TS1>Replaces Existing 345MHz Receiver and provides both a 900Mhz Transceiver and 345Mhz Receiver>All 2Gig product requires a 2Gig GO!Control panel and a subscription to alarm.com for full functionality>2Gig products are intended for professional installation only This item cannot ship to APO/FPO addresses. Please accept our apologies. 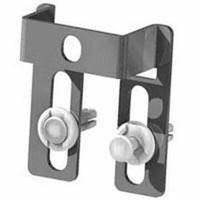 The Bypass Door/Window Contact (2GIG-DW40-345) is designed for use on doors that may need to be temporarily bypassed to serve as an entry and exit path to an armed zone. 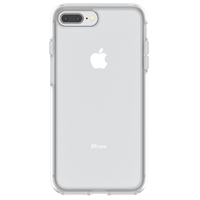 There is a discrete hidden push button integrated to the top of the case that allows a user to activate the bypass feature and allow a user to open and close the door once without the user having to disarm their alarm panel. A special coded message is sent to compatible receivers that can log this local user bypass event. An integrated LED indicates to the user, the state and status of the bypass feature. For higher security, the bypass push button can be disabled and the contact can be used as a micro sized door window contact without the local bypass feature. A message is sent when the magnet is moved away from the contact and another message is sent when the magnet is replaced near the contact again. It communicates with a 2GIG control panel at the 345Mhz frequency. The contact is equipped with a cover tamper to notify the user if the device has been tampered with. (2GIG GC2 panel firmware version 1.14 or higher is required to log the bypass activity.) 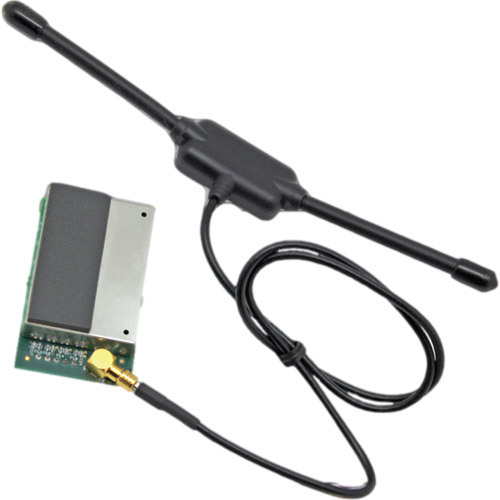 Wireless signal range: 275 ft (80 m) with 2GIG Panel>Code outputs: alarm; alarm restore; supervisory; low battery; tamper; tamper restore; local bypass enabled*; local bypass disabled*>Transmitter frequency: 345.00 MHz (crystal controlled)>Unique ID Codes: over one (1) million different code combinations>Supervisory interval: 70 minutes This item cannot ship to APO/FPO addresses. Please accept our apologies. 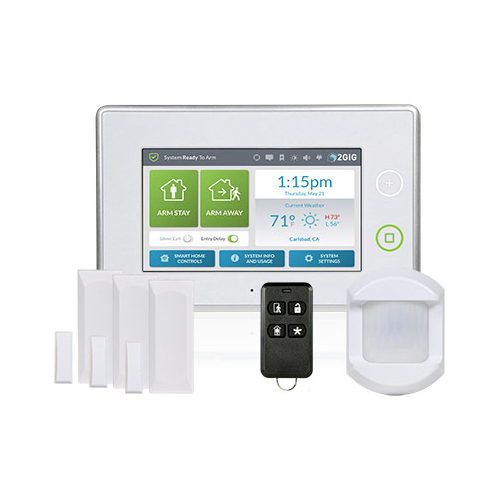 The GC3 is the most capable and robust security & home control system that 2GIG® has ever made. 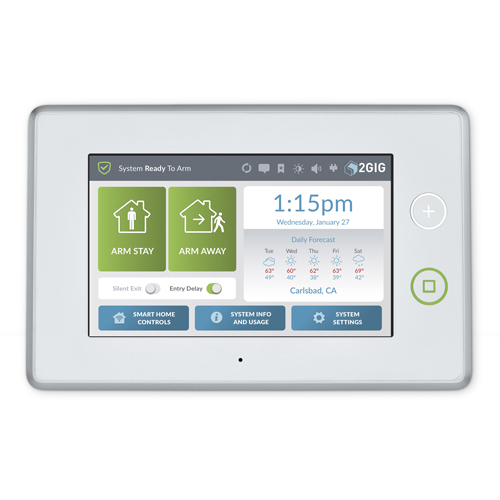 With a 7” color, capacitive touch screen and a full upgrade to the user-interface, homeowners will love how much faster and easier it is to use, and dealers will appreciate how much time they’ll save during installation. User interface improvements include single-screen zone programming, elimination of unnecessary or redundant steps, One-Touch Arming, and easy-to-see Status. These features, along with many others, make the GC3 customer experience the easiest, most intuitive of any security and control system in the industry. Period. Smart Home Control has been at the heart of all 2GIG panels since the very beginning. The new 2GIG GC3, the first Z-Wave Plus certified panel, makes working with smart home devices simpler than ever before. Programming new smart home devices is a snap with clear, step-by-step menus, saving time and money on every install. The security and automation chips have been built with a modular design, allowing for incorporation of other emerging solutions to stay current in the ever changing world of technology. 7” capacitive touchscreen>One-touch arming>100 Wireless Zones>User-replaceable cell radio with integrated antenna>3G - AT&T or Rogers Network>Integrated Z-Wave radio This item cannot ship to APO/FPO addresses. Please accept our apologies. This inexpensive and easy-to-install Desktop Kit offers new versatility to customers. The Desktop Kit can be utilized at two different viewing angles allowing customers to place their security panels and keypads on a desk, kitchen counter, night stand, or any other flat surface. Allows TS1 Touchscreen Keypad to sit at 2 different viewing angles>All 2Gig product requires a 2Gig GO!Control panel and a subscription to alarm.com for full functionality>2Gig products are intended for professional installation only This item cannot ship to APO/FPO addresses. Please accept our apologies. Keep an eye on your home with this Network Video Recorder (NVR) with High definition video resolution. Simple to use GUI with mouse control. Zero Configuration: AutoDetect, Auto-Record, Auto-View, Auto-Layout. Just plug in the PoE cameras into the back of the NVR. Easily configure WiFi camera to record to NVR. Use 2GIG NVR app to view cameras from anywhere with an Internet connection. High Profile H.264 Compression>4 Channel Recording full HD 1080p Real-time>4 PoE Ports, 802.3af>Internal single 3.5 inch HDD This item cannot ship to APO/FPO addresses. Please accept our apologies. The GC3 is the most capable and robust security & home control system that 2GIG® has ever made. With a 7” color, capacitive touch screen and a full upgrade to the userinterface, homeowners will love how much faster and easier it is to use, and dealers will appreciate how much time they’ll save during installation. User interface improvements include single-screen zone programming, elimination of unnecessary or redundant steps, One-Touch Arming, and easy-to-see Status. These features, along with many others, make the GC3 customer experience the easiest, most intuitive of any security and control system in the industry. Period. 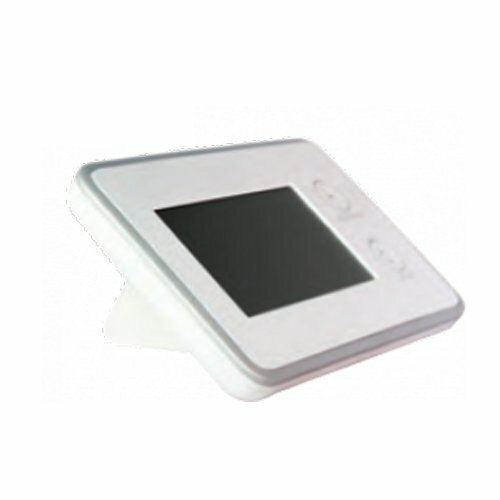 7” color, capacitive touchscreen with 800 x 480 resolution>Quick Installation >One-touch arming>100 zones of wireless security>Up to 100 unique users This item cannot ship to APO/FPO addresses. Please accept our apologies. 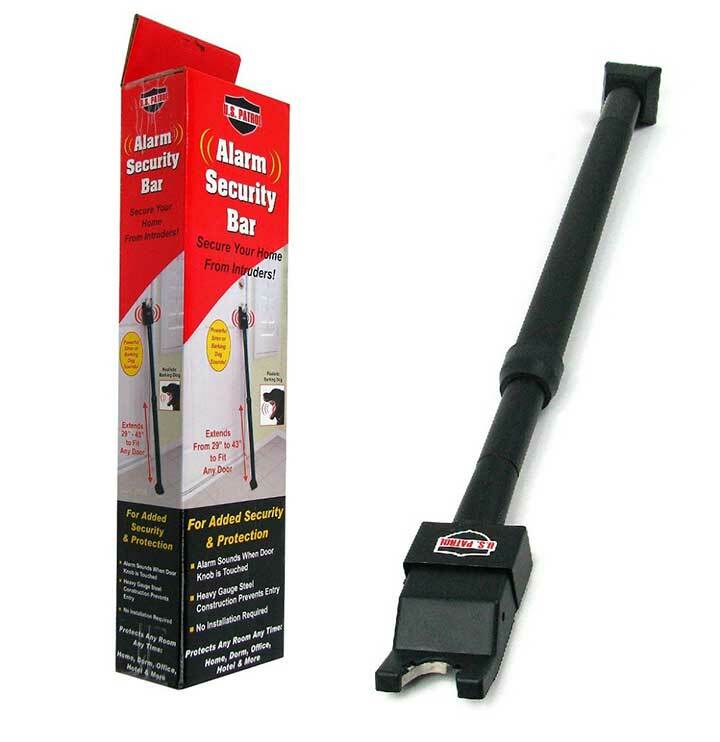 This alarm security bar with audio alert provides extra protection to secure your home, dorm, office or hotel room from intruders. As soon as anybody touches the doorknob, the alarm on this heavy-gauge steel bar will sound like a powerful siren or barking dog to warn you that someone is trying to enter. It's a simple, effective way to frighten away intruders. This bar extends from 29in. to 43in. to fit any door. Operates on one 9V battery (not included). No-tool installation is a breeze.